What an extraordinary little book this was. 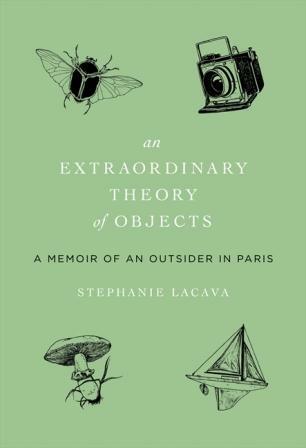 Subtitled "A Memoir of an Outsider in Paris," it is a series of illustrated essays that depict author Stephanie Lacava's passage through her rather dark and disturbed adolescence, one marked by anxiety and deep depression. 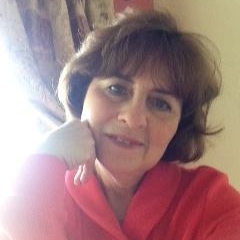 The story begins when the family moves to Paris during the author's early teens, and her already perilous sense of self seems to fragment even more as she struggles to find her footing in a foreign country. The reader sometimes feels lost right along with her, as she wanders the streets of Paris in her little slip dresses and cardigan sweaters, looking for her own particular set of wonders. Reading the book was something like viewing Lavaca's world through a stereopticon¹. Each essay is a scene in her ongoing saga of isolation and the obsession with objects which seems to ease her anxiety. It is through her extraordinary collection of objects - from a fascination with Jean Seberg and poison arrow tree frogs to a box of glass eyeballs - that she orders and makes sense of a world in which she feels alienated. The book becomes as much a field guide² as it does a memoir, because the objects that attract Lacava's attention are described in detailed footnotes, as well as illustrated in exquisite pen and ink drawings by Matthew Nelson. The book is designed beautifully, measuring only 5 x7 inches, with the kind of cloth cover and beveled pages rarely seen in mass market hardcovers. An intriguing, brutally honest trek through the world of an outsider, and how this very extraordinary young woman learned to cope. ¹A stereopticon is something like a slide projector which has two lenses, usually one above the other. These devices date back to the mid 19th century and were a popular form of entertainment and education. Americans William and Frederick Langenheim introduced stereopticon slide technology—slide shows of projected photographs on glass—in 1850. For a fee of ten cents, people could view realistic photographs with nature, history, and science themes. At first, the shows used random images, but over time, lanternists began to place the slides in logical order, creating a narrative. This "visual storytelling" directly preceded the development of the first moving pictures. Before long, nearly every parlor in America had a stereopticon with a series of popular slides often featuring natural wonders of the world. ² A field guide is a book designed to help the reader identify wildlife, plants, animals, or other objects of natural occurrence. It is generally designed to be brought into the 'field' or local area where such objects exist to help distinguish between similar objects. It will typically include a description of the objects covered, together with paintings or photographs and an index. More serious and scientific field identification books, including those intended for students, will probably include identification keys to assist with identification, but the publicly accessible field guide is more often a browsable picture guide organized by family, color, shape, location or other descriptors. The most popular early field guides in the United States were published in the late 1800's, and were guides to plants and birds.